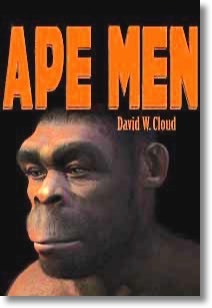 The search for the missing link between men and apes has been motivated by Darwin’s “theory” of evolution. Since evolutionary paleoanthropologists are searching for evidence to prove their theories and have no interest in disproving it, it is not surprising that they have been deceived repeatedly. Ramapithecus, Zinjanthropus, Homo Habilis, Lothagam Man, Flipperpithecus, Donkey Man, Ardipithecus Ramidus, Homo Eructus, and more.